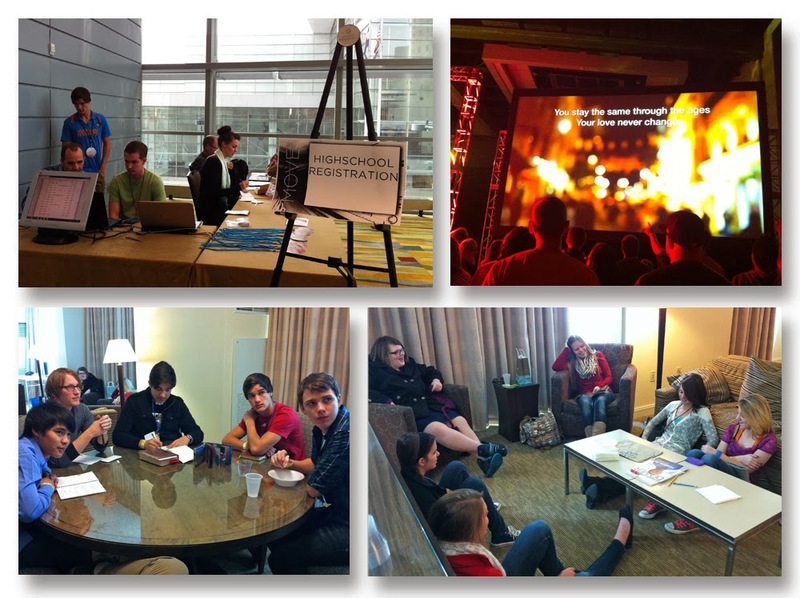 Every year between Christmas and New Years, our students travel to a Cru conference. 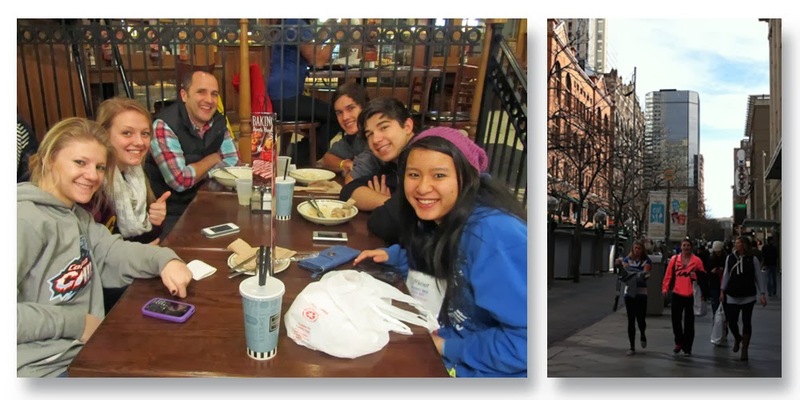 For many years, we took students to the FastBreak Conference in the Twin Cities, and beginning in 2012, our students now travel to Denver for DCC (Denver Christmas Conference). This conference, planned primarily for college students, now welcomes our high school students with a special track geared especially for them. Our group of six students came from three different campuses in our Cru Omaha area ... Central High and South High in Omaha, and Blair High. A smaller group than usual, as others who wanted to go had to stay home for family events, or sports events which were going on at the same time. We were joined by other high school students from Missouri, Kansas, and Colorado. An incredible opportunity for our students, as they joined over a thousand college students to hear great speakers, attend helpful seminars, and participate in meaningful worship. The Cru staff in Colorado went the extra mile to make us feel welcome - giving our students a greatly reduced rate, setting aside rooms for us to hold our small group meetings in (photos above), and providing us with four amazing young adult interns to walk through the conference with the high school students, and lead the small group times. And we're grateful, too, for the great leadership of Jake, our part-time staff guy - he was amazing. One afternoon our students participated in an outreach called Poverty Experience. They walked to a Ross's Store in downtown Denver, and purchased clothing items to donate to a nearby homeless shelter. However, on their way to the shelter, they came upon a number of homeless people including a family with two young children, and were able to give out their items of clothing directly to those in need. It was a moving experience for them, and one of the highlights of their time in Denver. For each meal we walked together to 16th Street, a street filled with shops and little restaurants. The group of high school students bonded well. We were also so thankful to have Bill Kollar (in plaid shirt in photo above) with our group - he came from our Cru High headquarters in Orlando, and was a great help during DCC. Now the students are back home, and also back at their high schools starting out another semester. Please pray that the truths they were impacted with will stay with them, and that God will use them greatly for His purposes on each of their campuses this coming semester.